Mirabai Starr writes creative non-fiction and contemporary translations of sacred literature. She taught Philosophy and World Religions at the University of New Mexico-Taos for 20 years and now teaches and speaks internationally on contemplative practice and inter-spiritual dialog. A certified bereavement counselor, Mirabai helps mourners harness the transformational power of loss. She has received critical acclaim for her revolutionary new translations of the mystics, John of the Cross, Teresa of Avila and Julian of Norwich. The following is an excerpt from her latest book, Wild Mercy: Living the Fierce & Tender Wisdom of the Women Mystics (April 2019, SoundsTrue), available for pre-order here. 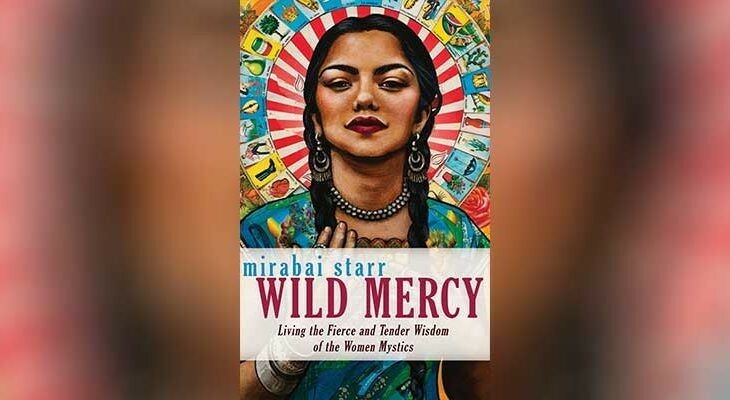 Join Mirabai and kirtan artist Nina Rao for a Wild Mercy book launch event on April 23 at Deepak HomeBase, on the mezz at ABC Home in NYC. There are human beings, like the great Indian saint Neem Karoli Baba (whom devotees lovingly call Maharaj-ji), who seem to be especially clear channels for Shakti and whose very presence helps awaken the consciousness and open the hearts of everyone around them. I never had a chance to meet Maharaj-ji in the flesh. But I don’t even remember a time when he was not my window into God. 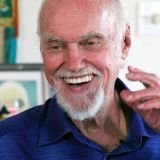 I was nine years old when Ram Dass’s iconic book Be Here Now came out and connected this remarkable holy man from the Himalayas to millions of Western seekers, among them my parents and my friends’ parents, my teachers and neighbors in our countercultural community. This must be what Jesus is like for other people: the sacred ground they grew from and walk upon, the touchstone, home base. Shortly before his sudden death on September 11, 1973 (when I was twelve), Maharaj-ji abruptly stopped his lifelong practice of writing “RAM RAM RAM” in his little diary and handed it to one of his closest disciples, Siddhi Ma (later called Mata-ji, “beloved mother”), instructing her to continue the repetition of the divine name. After he was gone, it became clear this was his signal that Siddhi Ma was to carry his lineage, to care for his disciples, his temples, and his devotional teachings. For many years, the “Ma’s” (the Indian women devoted to Maharaj-ji) had kept to themselves in the backrooms of his ashrams, and the Westerners hardly knew they existed. But there they were, tending Maharaj-ji’s every physical need behind the scenes so that he could tend his followers’ every spiritual need out front. With humility and good humor, Mata-ji gathered Maharaj-ji’s far-flung family into her arms after he was gone, and she kept us there until her own death at the end of 2017. In October 2010, on the ninth anniversary of my daughter’s passing, I made a pilgrimage to the Kainchi Ashram, the main temple where Maharaj-ji had given darshan (the beholding of the Divine in the form of the guru) to westerners in the early 1970s and where Mata-ji still resided in the warm months. The ashram is nestled in the foothills of the Himalayas in the northernmost part of India. It is less than one hundred miles from New Delhi, yet it takes more than ten hours by car to wind up through the dramatic mountain passes and down into the Kumaon Valley. Being in Kainchi feels like stepping back in time a thousand years. And being with Mata-ji felt like a homecoming. After the loss of my daughter, my road had been harrowing. Although nearly a decade had unfolded, I arrived with a tattered soul and a shattered heart. 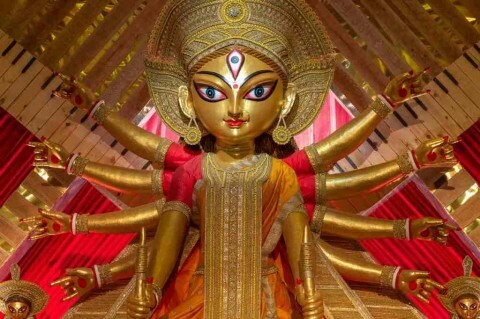 It wasn’t that Sri Siddhi Ma had some kind of magical powers to mend me (perhaps), or that she possessed a metaphysical vision to see beyond this world (could be), or even that she lavished me with sympathy (she didn’t). It was simple: she looked at me with full attention, and she saw me truly. That’s what happens when a person shows up for you with their full presence. They see you. And to be fully seen is a rare and transformative gift. It seems to me that the capacity for true presence we find among awakened beings is an artifact of their own annihilation: their identification with a separate self has dissolved in the ocean of the One. All that is left is pure presence. Sitting with Mata-ji and singing to her, prostrating myself at her feet and watching her pranam (bow) before the temple goddesses, melted my cynicism about gurus and allowed my inclination toward reverence to flower. Yet what was most true and real for me about this magnificent woman was not the devotion she elicited in me but, rather, her devotion to Maharaj-ji. Sri Siddhi Ma embodied the guru-disciple relationship and lit it up for all to see and feel and taste. Everything for Mata-ji pointed back to Maharaj-ji. Every good thing belonged to him, and every suffering was an opportunity to follow the trail of fire directly into the garden of his love. 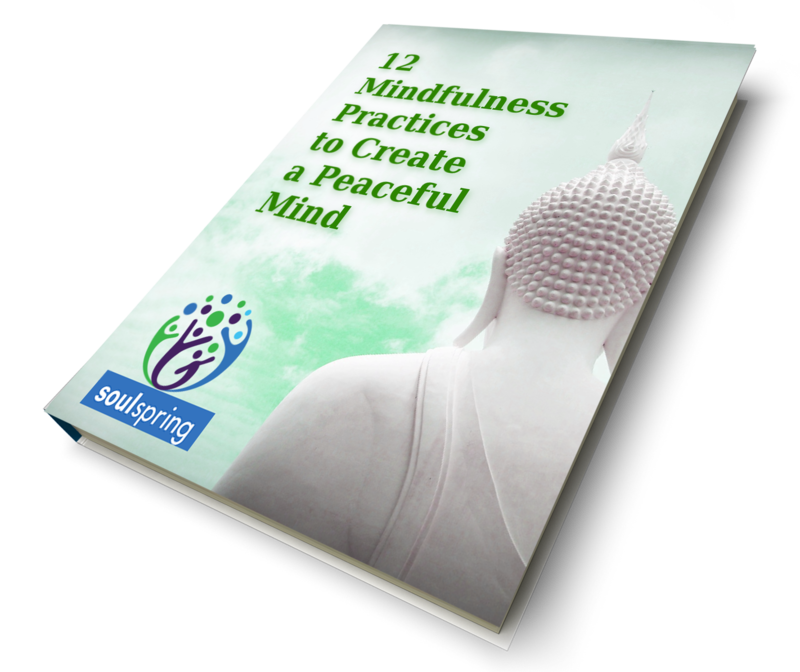 Learn more about Mirabai and her teachings here. It’s spring – ready for a new beginning? Ram Dass made his mark on the world by teaching the path of the heart and promoting service in the areas of social consciousness and care for the dying. When Ram Dass first went to India in 1967, he was still Dr. Richard Alpert, an eminent Harvard psychologist and psychedelic pioneer with Dr.Timothy Leary. In India, he met his guru, Neem Karoli Baba, affectionately known as Maharajji, who gave Ram Dass his name, which means "servant of God." Friday, 19 April 2019 How can we bring awareness into parental relationships? Friday, 05 April 2019 What does union feel like in the moment?